Homemade Sugar Cookie Ice Cream Sandwiches Recipe! Home / Savings Blog Posts / Recipes / Cookie Recipes / Homemade Sugar Cookie Ice Cream Sandwiches Recipe! If you are looking for a fun Memorial Day Treat or 4th of July Dessert, check out this Homemade Sugar Cookie Ice Cream Sandwiches Recipe! This fun Homemade Sugar Cookie Ice Cream Sandwiches Recipe is the perfect Patriotic Treat for a day at the lake, by the pool, or a family reunion! Your friends and family will love this treat – perfect for Kids and Adults! You could even wrap these up individually after they have been in the freezer for 30 minutes or so. This would be a great way to make personalized treats that are easier to transport! Pick up some Patriotic Sprinkles at Amazon for only $8.61! Receive Free Shipping with Amazon Prime, or Free Super Saver Shipping on orders of $35 or more! It’s amazing how fun and creative you can get with Holiday Themed Sprinkles! 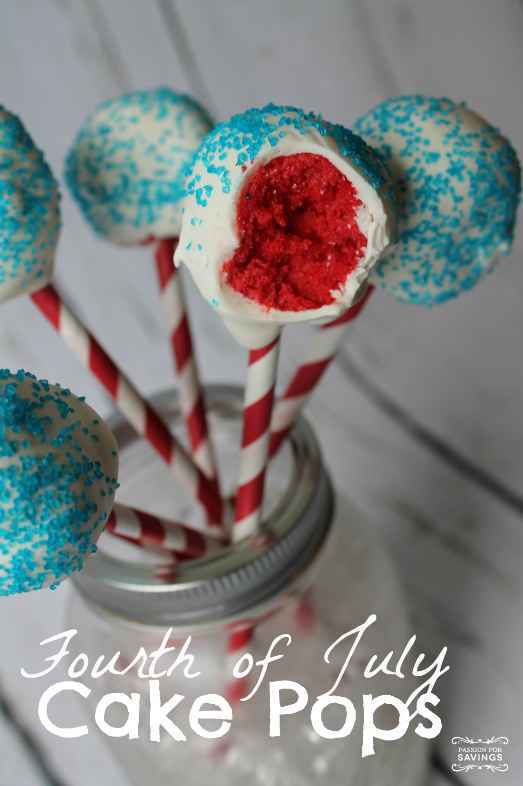 Also, be sure to check out this 4th of July Cake Pops Recipe for a great Summer Party Appetizer! These are bite sized and perfect for barbecues or picnics! Take these with you to your 4th of July Celebration! White Chocolate Macadamia Nut Blondies Recipe!